Finally, a collection gigantic enough for Conan the Cimmerian himself! This truly massive tome collects Conan issues #0 through #50?from the definitive early work of Kurt Busiek and Cary Nord through the famous collaborations of Timothy Truman and Tom?s Giorello. With an introduction from Busiek and an afterword from Truman, this is a must-have for any Robert E. Howard devotee! * For nearly ten years, Dark Horse has published the greatest Conan comics ever! 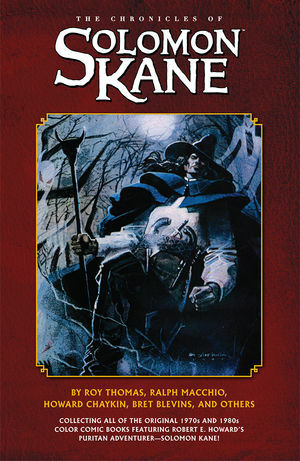 * Featuring the early, career-defining Conan work of Cary Nord! * Introduction by Kurt Busiek, with an afterword by Timothy Truman!